AutoCommerce includes sponsorship options that offer your company the opportunity to gain exposure for your brand among automotive and powersports retailers. For sponsorship options, pricing and availability, please contact Candace Velazquez, US Events Manager, at candace.velazquez@channeladvisor.com. If your business ships via FedEx or UPS, you are entitled to refunds on all late shipments. It’s time to start holding your shipping carrier accountable for their service failures. 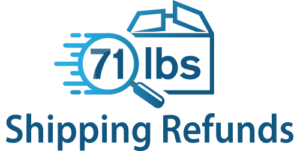 71lbs has a human-powered software solution that proactively monitors, identifies, and files claims on your behalf. 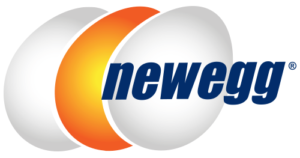 Newegg Marketplace was founded in 2011 as an expansive business unit of Newegg.com. Having been a PC components and electronics retailer since 2001, our core business had built up a loyal and savvy customer base of over 30 million members that is always looking for the latest and greatest in tech products. This led us to establish a platform for third-party sellers to take advantage of our strong foothold in the electronics space, and bring a wider variety of products to our customers. Since establishing our Marketplace platform we have grown to include numerous product categories, as well as become an expansive hub for emerging home automation, virtual reality (VR), and automotive tech categories which show promising growth opportunities. 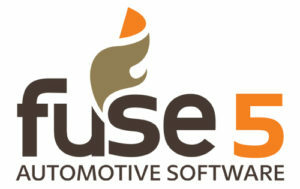 Fuse5 is a cloud-SaaS Business Management System created specifically for automotive parts distribution. It’s intuitive, credible, affordable and easy to transition. All this combines to provide our customers with the best and most flexible POS, CRM, partner integrations, inventory and back office management software in the automotive aftermarket. Hanson Distributing Company is one of the largest Automotive Aftermarket replacement parts warehouse distributors in the western US. Through its logistics division, autopartsfulfillment.com, the company ships over a million packages annually for online retailers. The company has the inventory, experience, technology and resources to meet your automotive fulfillment needs. Keystone Automotive Operations, Inc. is the leading distributor and marketer of specialty automotive products worldwide, serving the diverse needs of auto and RV enthusiasts and installers across the US and Canada, and 70+ countries across 6 continents. The company operates 7 distribution centers and 47 cross-docks in North America, offering the largest assortment of aftermarket products including 165,000+ unique SKUs from 800+ suppliers. myFitment drives marketplace sales for ChannelAdvisor’s Parts & Accessories customers. We provide multiple ways to comply with the complex fitment standards at today’s leading online marketplaces. myFitment removes the price and technology barriers that prevent online sellers from reaching maximum compatibility levels for their listings. myFitment helps customers treat fitment as a valuable business asset, driving sales and reducing returns. Since 1999, Premier Performance Products has been the industry leader for wholesale distribution of aftermarket parts and accessories in the diesel and performance markets. With a staff of enthusiastic experts, seven warehouses, and an extensive line card, Premier is proud to serve customers around North America quickly and efficiently. Imagine having millions of customers see your products online every day. The Sears Marketplace allows businesses of all sizes to conveniently list and sell their products on Sears.com. As one of the fastest growing marketplaces online the Sears Marketplace provides sellers with a reliable, secure and cost effective way to grow their business quickly. The SEMA Data Co-op is the largest openly accessible product database in the industry, with over 500 participating brands. Mission driven, rather than profit driven, the SDC provides the latest in powerful online data management tools, live support and hands-on training for members… all at the lowest possible cost. Founded in 1961 as a division of Transamerican Auto Parts, Transamerican Wholesale is a leading distributor in the Truck, Jeep, and SUV aftermarket. Our mission is simple – To be the best supplier of Truck, Jeep, and SUV aftermarket products. We will exceed of customers’ expectations, and give our employees the opportunity to excel. Web Shop Manager is the world’s leading eCommerce provider for the automotive industry and other markets with complex product catalogs. Leveraging cloud based technology; large data sets with complex fitment can be personalized for each client and presented in an advanced search experience that maximizes usability and conversions. With nearly 20 years of direct industry experience, Web Shop Manager has helped thousands of businesses worldwide. From award winning website design and customer service to sophisticated product data expertise, Web Shop Manager is your eCommerce success partner. 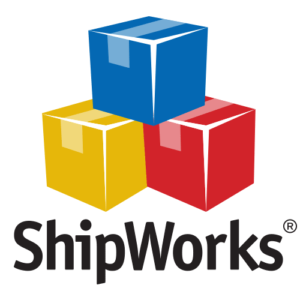 ShipWorks is the most flexible, most powerful way to manage and ship your orders. Import from any sales channel. Print discounted shipping labels for any carrier. HubLogix is a cloud-based service that provides omni-channel order management for retailers. Using our platform, customers are able to increase sales opportunities while reducing cost of operations. HubLogix works by connecting ecommerce channels like Big Commerce, ChannelAdvisor, and Shopify with fulfillment points, including third-party logistics providers and drop shippers. Our service is unique because is able to support real-time inventory updates and sophisticated order routing solutions for large product selections. HubLogix was founded in 2011 and is backed by leading venture capital firms and UPS. eBay Motors (www.ebay.com/motors), a part of eBay (Nasdaq: EBAY), is one of the world’s largest marketplaces for buying and selling all things automotive. The site offers everyday cars for everyday drivers, as well as collector cars, motorcycles, auto parts and accessories. eBay Motors is consistently ranked the No. 1 automotive site on the Web by Nielsen//NetRatings. Copyright © 2017 ChannelAdvisor All Rights Reserved.